I was digging through photos the other day and found these that I had totally forgot that I had. 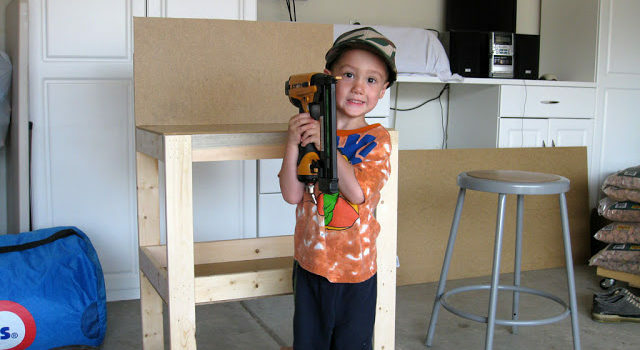 In July of 2010 I was building a workbench in my garage. It was my first official woodworking project and my excuse to buy a miter saw. My 5 year old was helping me when he asked if he could have a workbench too so we made a quick trip to Home Depot and got some materials. We made it all out of 1×3’s and some hard board. 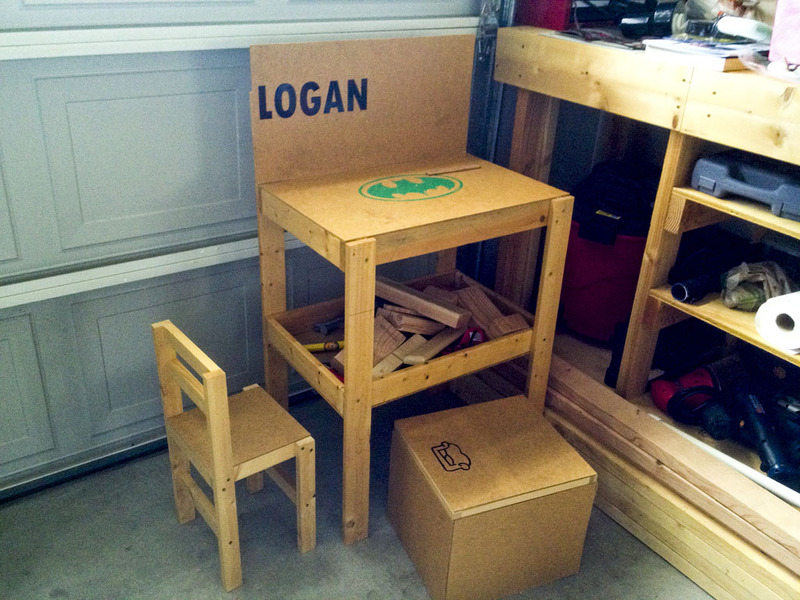 My garage is pretty full so whenever I build anything I have to set my tools up in my back patio and part of the process is bringing his workbench and scrap wood box out there too. He loves collecting all the scrap pieces and then stacking them together and making “constructions”.